But this time it was his turn to take to the saddle on Calder Prince, in an event staged to raise funds for the Prince’s Countryside Trust. “The horse was great and I’m really pleased with how it’s gone. I can’t keep the smile off my face, I loved it,” Owen said. “They seemed to go really quick, it was the fastest I’ve ever been on a horse, but the horse slowed into the back and whipped up on the inside and all of a sudden I was in front – I was thinking ‘come on now’. “But that was a long way [out] and I got very tired in the last furlong. It was such good fun and I’m really pleased with the whole outcome. My horse ran a cracking race and I’m delighted to be second. Email “Michael Owen finishes second on horse racing debut”. 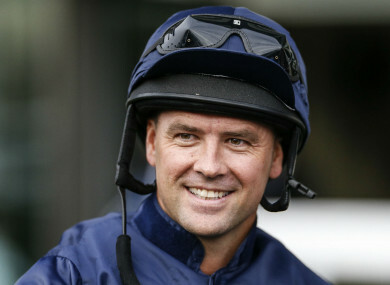 Feedback on “Michael Owen finishes second on horse racing debut”.